Alexis Trucano is a 4-year varsity swimmer. 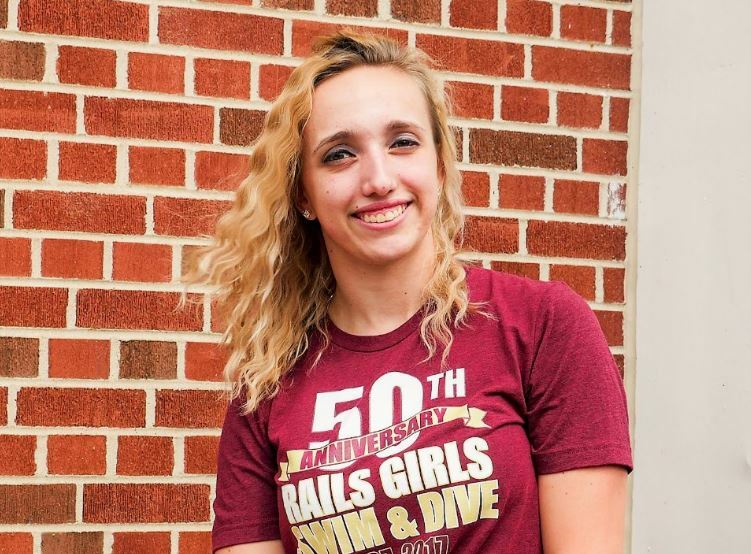 Before high school, she swam for years on the club and girls middle school team. Alexis has been an important piece on the team for years, anchoring important relays and swimming in key events. Read more about Alexis below. Biggest Swimming Accomplishment: Going to regionals the last three years and meeting the new girls who come in every year. Favorite Win: Out-touching the RHS girls when Grace and I went 1st and 2nd in that event. Message For the Team: The strongest team of people isn’t always the team who will win. It’s the team who doesn’t give up when things get hard who wins overall.